So pretty! I really love this. Oh, Susieness! Tiny One! Look what you've made! It's gorgeous! You're so little - how did you do this? ;) You're so amazing! It turned out great! And I don't see a single boo-boo. Besides IF there were any it just adds to the character of the piece. I was hoping you'd offer a DIY. I was loving your post about it the other day, and hoping you'd share! :) Looks so beautiful. Girl, I don't see ANY boo boos on this! It is absolutely stunning!! You never cease to amaze me! I swear this is just beautiful! I would love a tutorial DIY on how do to this! I am SO IMPRESSED! But I always am in awe of your talents! Seriously Susie-I like yours so much better then the ones you showed in the last post. OF COURSE we want a DIY! Bravo once again-You never cease to amaze me! What a beautiful piece of work! You did a great job. So sorry you hurt yourself. Beautiful, Susie! Great job. Love seeing such resourcefulness at work. I'm so impressed! And I'd love to see a DIY tutorial on how you made it. SOOOO pretty! It's beautiful! You impress me with each post! Great job! Wow Susie, you truly never cease to amaze me! That is beautiful!! Susie, it turned out amazing!!! You truly are a DIY girl after my own heart! So talented and it looks old...I love it!!! Enjoy! way to go!! that is GORGEOUS! trumeau I have been wanting to make a trumeau for three years now!! And you just "up and did it"! I am inspired!! I'm going to "up and do it" too. I'll post it on my blog and let you know when I do. Thanks for the inspiration! You go girl!! This is beautiful! I hope you'll give us the how to at some point. I think my hubby is getting tired of all of the sanded pine signs I keep making. I just love your stuff so much! It's beautiful! And of COURSE we want a tutorial!!!! Is there a wider version? I need a mirror to go over our dresser in our bedroom and love this. Are you kidding of course I want a DIY. I think you did a great job your corners match up perfectly, and I know that is not easy to do. Your fancy mirror makes me happy. Have a goo day, and snuggle some puppies for me. I love the way you just jump in & tackle projects. It looks beautiful - so does the mantle in the reflection. Great job - you should be proud. BEAUTIFUL!! Girl of course we all want the know how on this gorgeous mirror! This is simply amazing. You did a FABULOUS job (yes, I'm yelling that word). Pat yourself on the back because it is incredible- YOU are incredible! Your mirror is gorgeous!!! WOW!! GET. OUT. I cannot believe you made this yourself. Can I please please please come to your house and love on your puppies and learn to make things? I'll bring treats. you brave woman! it looks fabulous! you should win an award! It is beautiful!! I am so glad you told us the proper name for the mirror...I too always described it as a fancy mirror!! I love it!! Oooh, Sweet Susie! Love this! You "done good!" 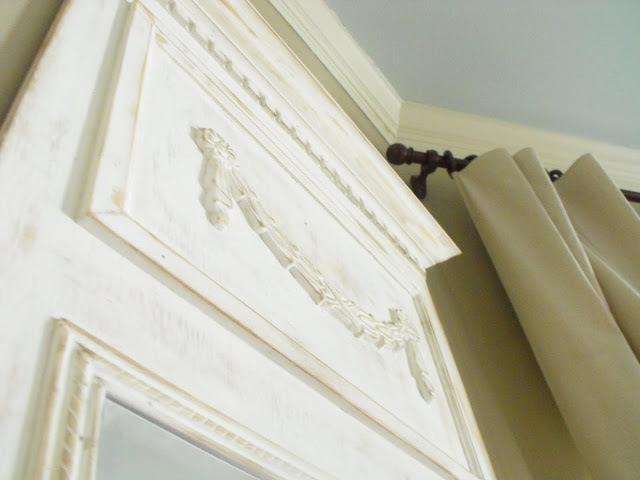 Yes, we need a little tutorial on how we too can have a fancy mirror. Whoohoo! Oh, Susie, you've done it again....that looks amazing!!!!! I am so impressed with your DIY self! that is VERY cool!!! i love it!! would love to see a tutorial on this one!! Wow! It came out great! Please, please, please post a tutorial!!! This is beautiful Susie.. You did an awesome job! Amazing! I love the way you tackle things head on--and they turn out so well. You are very talented! I would love a tutorial although I am not sure I have the confidence to take it on...it will be comforting to know it is in the file for "later". Thanks! You are so amazing! If I only had the talent that you have in your pinky finger...watch out decor world. I love your mirror. I love that you tackle a project head on. You are so inspiring to me and keep me motivated to work on DIY with a smile. It might take me a while...but your talents keep me crafting and painting in true forward motion. You do not disappoint! This is amazing! So beautiful and classic. You are a very talented lady:) I always look forward to your posts. 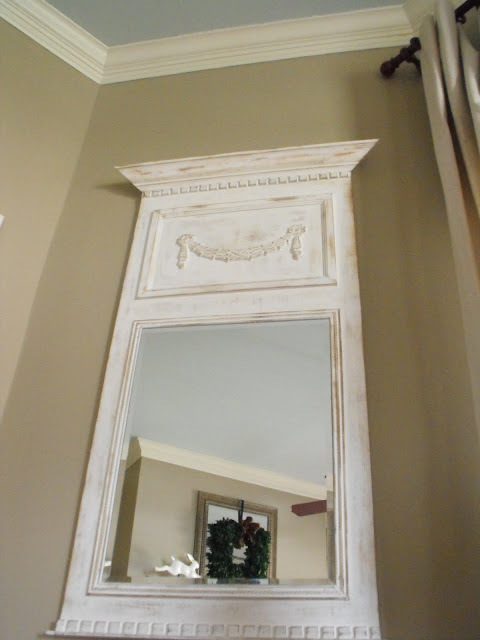 WOW...The mirror is gorgeous!I also love the color of the ceiling in the room,may I have the paint shade/name please? Wow! I love it! Absolutely beautiful, Susie! Susie, you did such a fabulous job! This mirror is absolutely gorgeous!!! Please share the how-to. uh yeah,, for sure, please share how you did it.. thats gorgeous, no boos boos I can see,, but I'm not a carpenter either.. it looks great. It really turned out great! You are a very talented girl!! Wow!! That is amazing Susie! It looks great! Tutorial please? I am in LOVE! You've outdone yourself Miss Suzie Q'tness! This is beautiful. I am so impressed with your talent. Amazing! Beautiful! Impressive! Great job. Would love to see your DIY instructions. YES....please tell us how you did it? It's amazing Susie!!!!!!!! Girl! That looks fantastic, yes we want all the details. Maybe I should make one. I really want a HUGE mirror in my Livingroom. Big, really big. That's amazing...job well done...really well done! You did a great job. You are so talented It's beautiful. 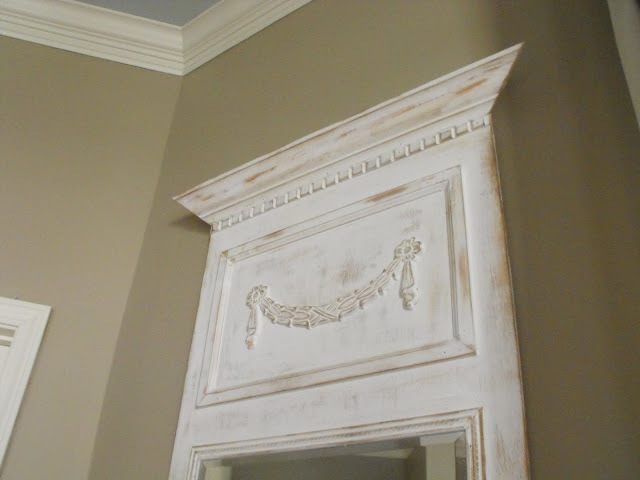 I just discovered your blog while searching for DIY Trumeau mirror plans--yours came out perfect! I would also love it if you could share the details! Ah ignore them boo's my foot! That is just lovely! 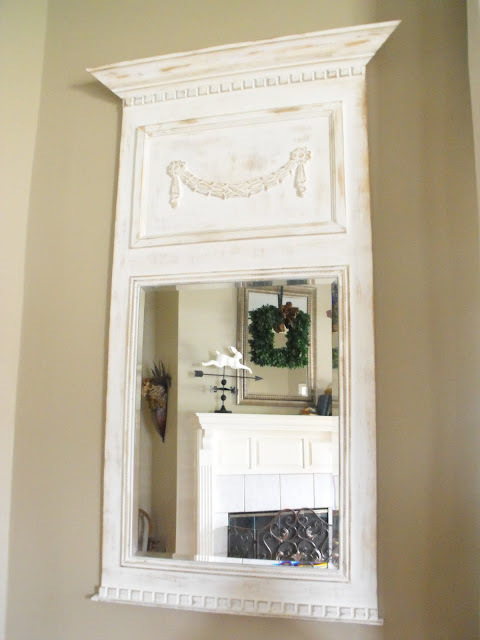 Your own Trumeau Mirror! I had NO DOUBT you could do it!! It looks gorgeous! Hello! Totally love it!!! I want to make one too! Your mirror is absolutely gorgeous. What an amazing job you did. This is one of my favorites. I would love to make one. Simply Gorgeous! Looks like a pro made this baby! So funny...I have been begging my hubby to help me make one for months now! I have all the pieces, but never wanted to attempt it alone! You are awesome! Yours turned out gorgeous! P.S. I need to email you about TX! Oh my goodness this is just breathtakingly beautiful. Wow! This is beautiful. You did a fantastic job! Great job! Yes, please share! Wow Susie. You did an excellent job!!! It looks beautiful. I also love the reflection in the mirror. Your mantlescape looks marvelous! 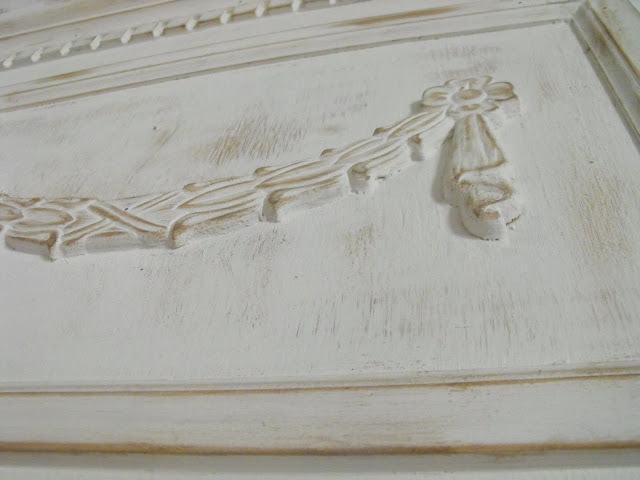 A DIY for the trumeau would be much appreciated! Do you already have one for the sqaure wreath?! Did I miss it? Or have I just forgotten? Mercy me! Is there any limit to your talent and abilities? Your Trumeau isn't just a mirror, it's a work of art. Pretty please do share. And thank you! FANTASTIC job! 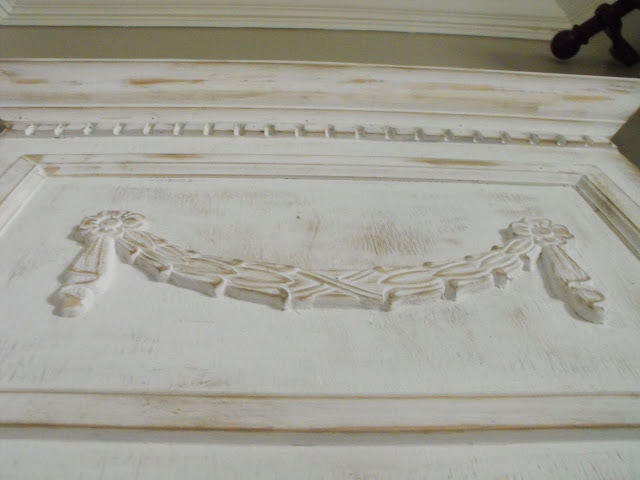 Your "Fancy Mirror" turned out AMAZING! it looks great, you are just way too talented! Fantastic!!!! You did a superb job on the mitered corners! It's beautiful. You are truly an inspiration to me. I hope you show us how you made it. Awesome! Yes Susie, please do a DIY!!!! You rock. By the way, are you finished reading Beth Moore's book? Can I just tell you that it has changed my life? I had a chance to meet up with fellow bloggers and I remembered that post you did on meeting bloggers and bringing insecurity along with you, and had I not read that book in it's entirety before going, I would have been writing the exact same post. I was so glad you shared what you did, because it played several times in my mind before I ever got to meet them and I knew God had way more for us! Just wanted to share that with you. Wow Susie you did a wonderful job. It's beautiful. You're so talented. you are SOOO lucky that hub's lets you play with his 'tools' (heehee) I love this look. Let's do a diy! I'm game! ps.. thanks for the lovely words on my bags! If you take a class in sewing my dear I'll slap ya! heehee.. you are so talented beyond reason. I AM TOTALLY INTERSTED IN A DIY!!!!!!! This is just beautiful and I hope you give a DIY soon! I hope you got my message from about 2 weeks ago when I said I was going to be coming through Louisiana and would love to meet you if we both had the time. Unfortunately, it didn't work out for us but could you please contact me at jdy277@aol.com. Susie, I have been reading about you and your AMAZING talents for a few months now. I am truly taken aback by your skills everytime! I love catching up with you, and those yard sales you visit are fabulous! I am not sure your mirror would look as good with my reflection in it hee hee! If anyone would like to pop over to me and check out my very new blog and make friends I would love it! A few friends from over the pond would be great! p.s. Keep up the fantastic work Susie! Thank you for being an inspiration! That's awesome! You are so inspiring! 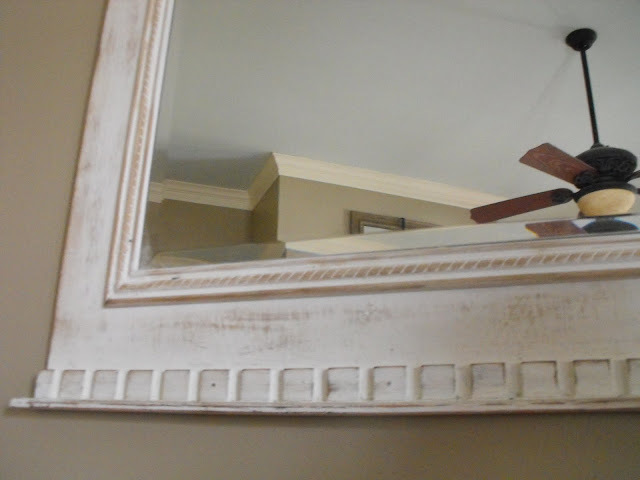 I posted your lovely mirror on my blog today - I just love it! Thanks for the wonderful inspiration. are you kidding me? That is unreal? Absolutely gorgeous! You are so talented! I am constantly amazed by all you do! Well done girl! !